There are many causes for brittle nails, thinning hair and weak hair. The symptoms appear approximately three months after the true cause has occurred. Lifestyle can also in fl uence, such as nails that are exposed to a lot of water and chemicals, hair with coloring, hair styling (high temperatures) and hair tightening. The first solution is to understand the problems that are causing the symptoms. The second is to provide nutrients to your body which aid in hair and nail growth. The third is to use shampoos, serums and nail products for this purpose. The Hair and Nail Nutrition Complex is a food supplement formulated for men and women who experience hair loss, slow hair or nail growth, or brittle nails. For best results, take WellnessPack and use regularly for at least three months. Repeat if necessary. The nutrients in the Hair and Nail Nutrition Complex feed your hair and nails from within. Dragees contain nutrients necessary for the synthesis of keratin – the protein present in hair and nails. When it is at high levels in your system, hair and nails become thicker and stronger. The formula also contains nutrients, whose effects are found in the hair root and scalp. Revitalized hair is hair with more volume. Brittle nails, hair loss and poor hair quality can have many underlying reasons. Hair & Nail NutriComplex provides essential nutrients for stronger nails and beautiful, thick and healthy hair! Ingredients: Volume agents (microcrystalline cellulose, stearic acid), L-Lysine, Hydrochloric acid, Binder (Maltodextrin), Apple Extract, L-Cysteine ​​Hydrochloride, Ascorbic Acid, Anti-caking Agents (Magnesium Stearate, Silicon Dioxide) Ferrous, Coating agents (Hydroxypropylmethylcellulose, Glycerol), Zinc Oxide, Sodium Selenite. Take 2 tablets daily, over a course of 12 weeks. You can repeat the 12-week course again if needed, but take a 3 week break before starting again. Hair & Nail NutriComplex can be taken together with WellnessPack. To have beautiful hair and avoid its fall and weakening, it is necessary to have a balanced diet and rich in vitamins and minerals. If the goal is to have healthy, strong and beautiful nails, look for foods rich in protein, especially red meat, poultry and fish. Choose lean meats, but do not forget to also eat foods rich in calcium, such as milk, cheese, yogurt, fruits, vegetables, legumes and whole grains. Hair: Selenium and zinc contribute to the maintenance of healthy hair. Nails: Selenium and zinc contribute to the maintenance of healthy nails. Zinc and Selenium: they are present in different processes of the body. Apple procyanidins: increase the total number of hairs as well as the diameter and strength of the hair. Together with l-lysine, they inhibit an enzyme in the hair follicle responsible for their loss. L-Cysteine: the main amino acid in keratin that is the main structural component of hair and nails – leaves hair and nails stronger and more resilient. L-Lysine: stops hair loss and prolongs the hair’s life cycle, especially in combination with iron. L-Lysine also promotes the assimilation of iron in foods and supplements. Iron: Prevents hair loss and stimulates its growth in people with a small iron deficiency, and is also important for a healthy nail base. Vitamin C: improves the absorption of iron. Can I continue to take WellnessPack? Yes. 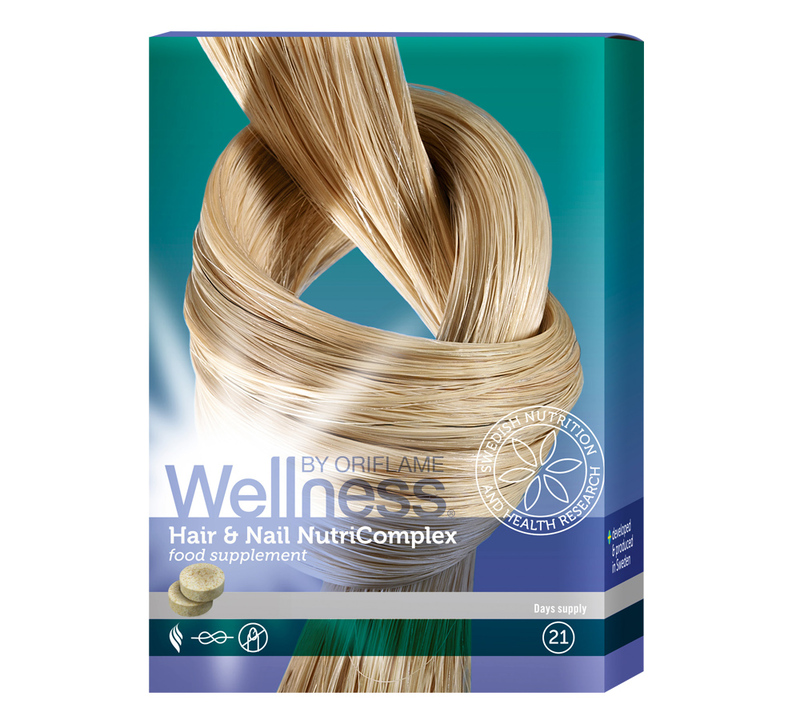 WellnessPack contains other essential nutrients for healthy hair and nails, such as biotin, copper and iodine. But what about iron, selenium and extra zinc? Most people with weak nails or hair loss have a slight iron, selenium or zinc deficiency and this is important to correct for healthy hair. Lactic substances, such as milk and cheese, inhibit the absorption of iron and since most people consume them frequently, they need a little extra iron. Since hair only grows about one centimeter per month and nails 3mm, it takes a little patience to get results; Make sure you take the capsules daily and for a minimum of three months. Do not take only one dragee per day – you need to take the indicated dose to achieve the desired results. Can I take the Hair and Nail Nutrition Complex for more than 3 months? Take a break for three weeks and then start over. and Nail Complex without interruption? Unlike WellnessPack, the Hair and Nail Nutrition Complex is a program specifically designed to combat problems with hair and nails. If you’ve forgotten to pause, there’s no problem and you do not have to worry. However, the long-term effects have not yet been studied and the product should therefore not be used for long periods of time without interruption. What are the ingredients of the Hair and Nail Nutrition Complex? Are they safe? They are antioxidants of green apples, amino acids (smaller parts of proteins), vitamin C and minerals. They are natural and essential nutrients for the synthesis of keratin (the protein that makes the hair and nails) and to keep hair healthy and without falling. I’m getting bald. Does the Hair and Nail Complex help me? It does not help to recover the hair that has already fallen, but can slow down the hair loss when taken regularly. Should I take 2 tablet of the Hair and Nail Nutrition Complex at the same time or take one day and another at night? It’s best to take both at the same time. The most important thing is to establish a good routine. The most common reason not to achieve good results with this type of supplement is to forget to take the product regularly. If you forget to take the tablets one day, continue your routine as soon as you remember to take them. Do not take more than two tablets per day. I am pregnant / nursing. Can I take the Hair and Nail Nutrition Complex? We recommend that you wait until you have finished breastfeeding and then start the plan. No! That, only the hormones can do it. We recommend that you wait until you have finished breastfeeding and then start the plan. Does the Hair and Nail Nutrition Complex stimulate hair growth in other parts of the body? Prevents hair loss and provides the essential nutrients for hair and nails. The hair becomes bulky and thick, and the nails stronger. Take 2 dragees once a day for a minimum of three months. 42 dragees (21 doses) x 730 mg.